I and many others around the world love rice, it's a staple of ours. 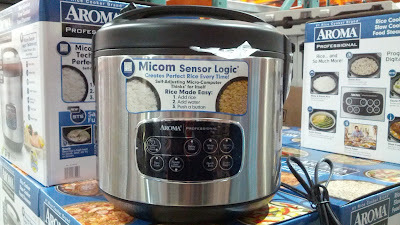 With the Aroma Professional 4 quart Stainless Steel Rice/Slow Cooker, I can make rice everyday (and twice on Tuesdays)! What makes this Aroma rice cooker so special is that it's also a slow cooker as well which you could use to make stews and make meat tender. You can consolidate 2 appliances and save space by getting a 2-for-1 rice and slow cooker. What I also like about this rice cooker is that it makes rice perfect every time. 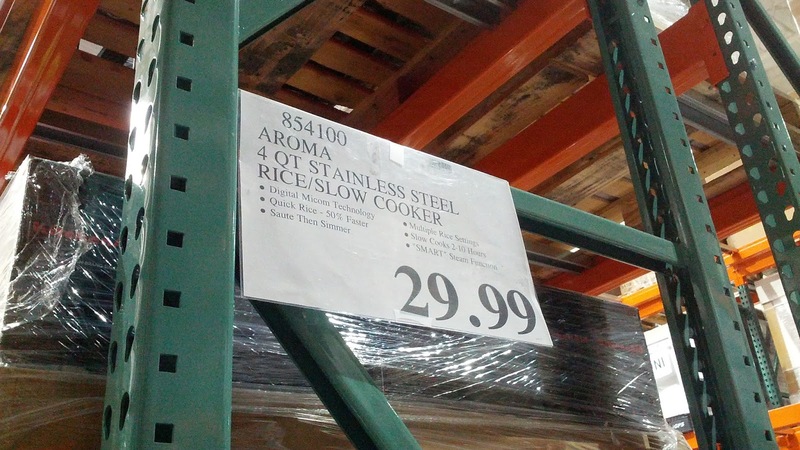 It even makes brown rice perfect, and that's difficult to do since brown rice usually dries out. 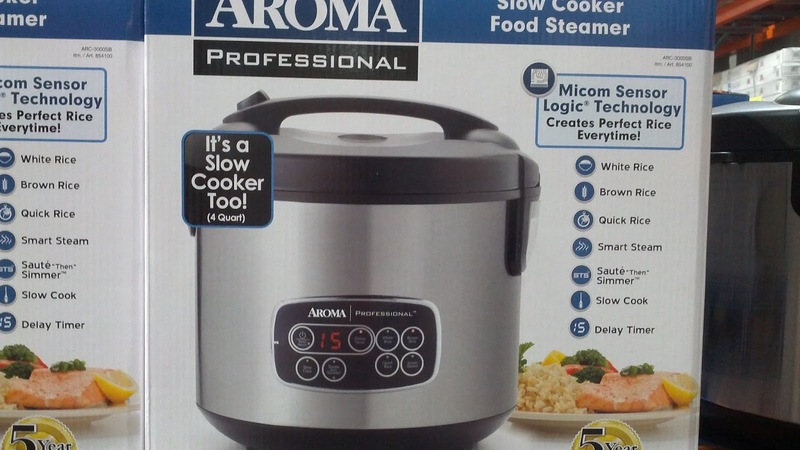 With the Aroma Professional rice/slow cooker, you just have to set it and forget it - you could just push a button, leave, and let it do its own thing. You could also check out the Crock-Pot slow cooker which Costco has as well. The Aroma Professional rice cooker makes perfect rice every time. The Aroma Professional rice cooker makes it quick and easy to make rice. 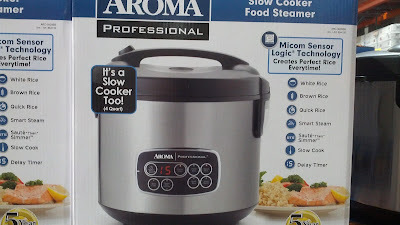 The Aroma Professional 4 qt rice cooker is a bargain since you get 3 appliances all in one: rice cooker, slow cooker, food steamer. Micom Sensor Logic Technology creates perfect rice every time!